An associate of Roger Stone who appeared before the Mueller grand jury on Nov. 2 is accusing the special counsel of a conflict of interest. Tyler Nixon says that he was questioned prior to his testimony by Jeannie Rhee, a prosecutor who previously represented the Clinton Foundation. Nixon says he finds it “deeply troubling” that Rhee is involved in the investigation, which has recently focused on Stone. Among the reasons that Democrats have called for Whitaker’s recusal are his comments criticizing the Trump-Russia probe as well as his work in 2014 on a political campaign for Sam Clovis, a former Trump campaign official who testified before the Mueller grand jury as a witness in 2017. Seven top congressional Democrats, including House Minority Leader Nancy Pelosi and California Rep. Adam Schiff, cited Whitaker’s work with Clovis in a letter Sunday to the Justice Department’s top ethics official. The Democrats asked DOJ whether Whitaker has been advised on whether he should recuse himself from the probe. Rhee’s work on the special counsel’s team poses a larger conflict of interest than Whitaker’s links to Clovis, Nixon asserts. “I find it astonishing that there are cries for the recusal for Mr. Whitaker when I know that I was personally interviewed on behalf of the special counsel by an attorney, Jeannie Rhee, who was Hillary Clinton’s and the Clinton Foundation’s personal attorney not one or two years prior to her joining the special counsel,” Nixon told TheDCNF. Nixon said that while Rhee was friendly, even “jovial,” during his interaction with her, he takes issue with Rhee investigating people like Stone who investigated the Clintons and Clinton Foundation during the campaign. Stone, a longtime confidant of President Donald Trump, is also critical of Rhee’s involvement in the investigation. “It seems somewhat incredible that Democrats are calling for Acting Attorney General Whitaker to recuse himself from the Mueller investigation based on his prior political activities, but they think it’s perfectly alright for Hillary Clinton’s personal attorney and campaign donor to lead a potential prosecution of Roger Stone,” Stone told TheDCNF. A spokesman for the special counsel’s office told TheDCNF that Rhee was cleared by Justice Department ethics experts to work on the Mueller team. “Department ethics experts reviewed the matters to which the Special Counsel was appointed and determined that Ms. Rhee is authorized to participate,” said Peter Carr, a spokesman for Mueller. 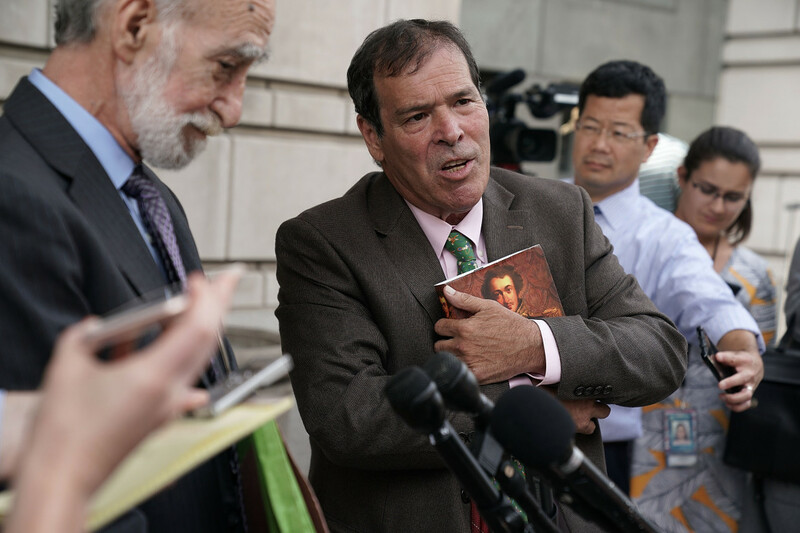 Nixon testified in favor of Stone during his grand jury appearance regarding a conversation he witnessed between Stone and Randy Credico, a comedian and longtime acquaintance. Stone has claimed that Credico was a confirming source for him during the 2016 campaign about WikiLeaks’ plans to release information damaging to the Clinton campaign. Stone has insisted that he did not know the content, source or timing of WikiLeaks’ releases. Credico, who was in contact with WikiLeaks founder Julian Assange during the campaign, has denied being Stone’s source. But Nixon testified to the grand jury about a dinner he attended with Stone and Credico in mid-November 2017 in which Credico indicated that he was the link between Stone and WikiLeaks. David Lugo, a filmmaker who knows both Stone and Credico, also testified to the grand jury on Oct. 19 that Credico told him that he was a source for Stone. Rhee also took part in the questioning of Jerome Corsi, an associate of Stone who said Monday that he expects to be indicted for lying to prosecutors. This post was updated with comment from the special counsel’s office.